The firm is prepared to go to Court to enforce a consumer’s rights against banks and lenders, collection agencies and the credit bureaus. Most consumer laws provide for attorney’s fees to be paid by the party sued. 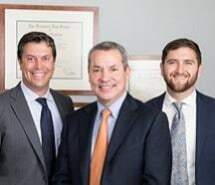 Experienced in pursuing high profile litigation under the Fair Debt Collection Practices Act, Fair Credit Reporting Act, Telephone Consumer Protection Act, and other consumer protection laws involving vehicle repossession, unfair trade and consumer fraud, our attorneys are members of the National Association of Consumer Advocates. We represent consumers individually and in class action lawsuits throughout Pennsylvania, New Jersey, New York, and nationwide. Many of the firm’s cases have helped create or interpret the law to advance consumer rights. Cary Flitter is an adjunct professor at Delaware Law School of Widener University and the James A. Beasley School of Law at Temple University, teaching Consumer Law and Litigation. Cary Flitter and Andrew Milz have helped write the books on Consumer Law which assist practitioners around the country with consumer law issues. Flitter Lorenz is the authority in consumer law, with the track record to prove it. For 30 years, Cary Flitter and his staff have been helping people like you deal with the challenges of everyday legal matters. WE ARE ALL ABOUT CONSUMER LAW. Cases that have helped shape the law.